Researchers at the UMKC School of Medicine Vision Research Center have received a $1.125 million grant from the National Eye Institute at the National Institutes of Health to support the development of new drug therapies for protecting the retina and optic nerve in chronic degenerative eye disease. 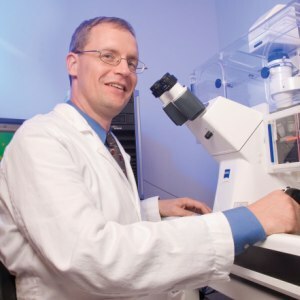 The research will be led by Peter Koulen, Ph.D., Professor and Felix and Carmen Sabates Missouri Endowed Chair in Vision Research at the School of Medicine and Director of Basic Research at the Vision Research Center. With the aid of a grant from the National Institutes of Health for nearly $188,000, Xiang-Ping Chu, M.D., Ph.D., assistant professor of basic medical science, will conduct a research project at the UMKC School of Medicine that could lead to improved treatment and prevention of cocaine addition. The project will provide evidence and insights into a newly discovered molecular activity within the brain during the use of cocaine that leads to the addition. Data from the project could ultimately contribute to the development of novel pharmacotherapies to treat addiction. Researchers will use a multidisciplinary approach to conduct the study. The grant was awarded through the NIH’s National Institute on Drug Abuse. Chu joined the School of Medicine faculty in 2008 in the department of Basic Medical Science and has a secondary appointment in the Department of Anesthesiology. 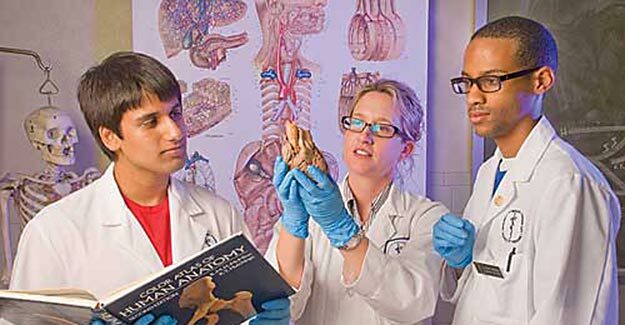 His research programs have also been supported by the American Heart Association and the University of Missouri Research Board. Students and faculty participated in Student Research Day on April 1 at the School of Medicine. Sarah Jennison, MS 4, Neeti Desai, MS 6, and Nikoo Cheraghi, MS 4, received the top awards from faculty and alumni judges for their oral and poster presentations at the School of Medicine’s annual Student Research Day on Friday, April 1. The event provides a forum for students and their faculty mentors to present biomedical research that reflects the breadth and depth of faculty research interests at the School of Medicine. This year’s Student Research Day took on a new format that included both oral presentations in the morning in Theater C, followed by poster presentations in the afternoon on the third floor of the medical school. Nineteen students participated, including six oral presentations and 13 poster presentations. 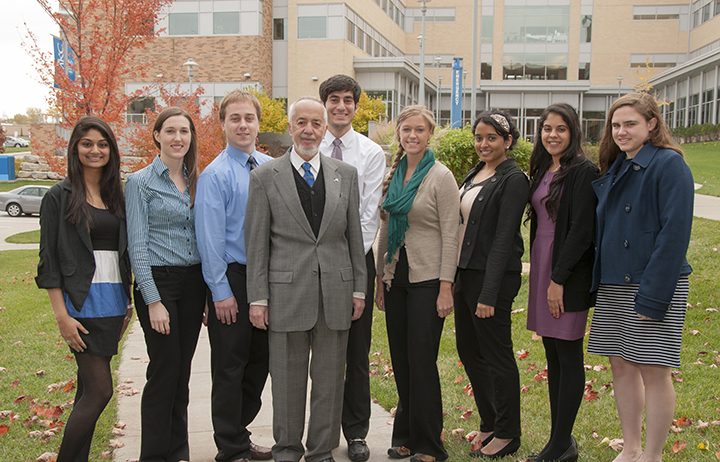 To see a list of all of the student presentations, their abstracts and faculty mentors, go to http://www.med.umkc.edu/research/students.shtml. 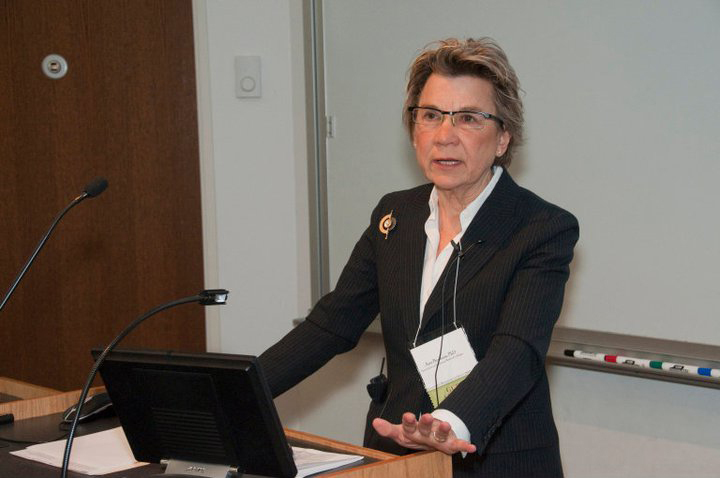 Ann Bonham, Ph.D., chief scientific officer of the Association of American Medical Colleges, stressed the importance, challenges and future of medical research during her keynote speech for the 2011 Student Research Day on April 1. Bonham directs AAMC programs that support research and training, addresses policy issues through engagement with key public and private sector officials, works closely with constituents to address their research needs, and represents the association on a national stage regarding research policy and administration. She especially focused on the social contract of research and made sure to remind her audience of UMKC SOM students, faculty, staff and alumni throughout her lecture to remember the big picture. A member of the University of California, Davis, faculty for nearly 20 years, Bonham played a major role in UC Davis’s expansion of basic biomedical sciences. She was also previously the executive associate dean for academic affairs and professor of pharmacology and internal medicine at the UC Davis School of Medicine. 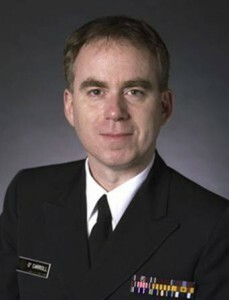 Bonham served as chair of the UC Davis NIH Clinical and Translational Science Center’s Executive Committee and previously served as chair of the department of pharmacology, as well as former vice chair of research for the department of internal medicine and associate chief of research for and acting chief of the division of cardiovascular medicine. During her presentation, Bonham covered the political, economic and health care reform legislation realities affecting research, and the importance for physicians, researchers and students, “our future,” to consider the vitality of consistently improving and participating in medical research. Bonham also discussed the AAMC’s agenda to improve health and health care. The process begins with basic to clinical research, she said, then to community-engaged and comparative effectiveness research to care delivery transformation research all the way to implementation research. This progression leads to the need to build an evidence base for health care delivery through science, new institutional pathways to principled partnerships with industry and other entities, and new business models for 21st century investments and impact. Sarah Morrison Award winners: Frank Xing, MS 4, Chris Reams, MS 4, Agostino Molteni, M.D., director of student research, Adil Akthar, MS 4, and Julia Frisenda, MS 5. 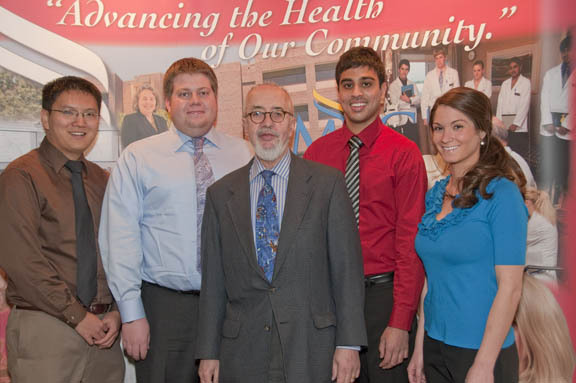 The School of Medicine Student Research Office has announced the January 2011 recipients of the Sarah Morrison Student Research Awards. Chris Reams, MS 4, “Analysis of Health Care Professionals’ Keyboards, Pagers, and ID Badges as Potential Sources of Nosocomial Infection,” mentor, Gurmukh Singh, M.D., Ph.D., professor of pathology. Adil Akthar, MS 4, “Elucidating the Mechanism of Thromboxane-Induced Calcium Entry in HL-1 Cardiac Myocytes,” mentor, Michael Wacker, M.D., Ph.D., assistant professor of basic medical science. Julia Frisenda, MS 5, “Effects of Single-walled Carbon Nanotubes on p53 Tumor Suppressor Gene,” mentor, Betty Herndon, Ph.D., research associate professor. 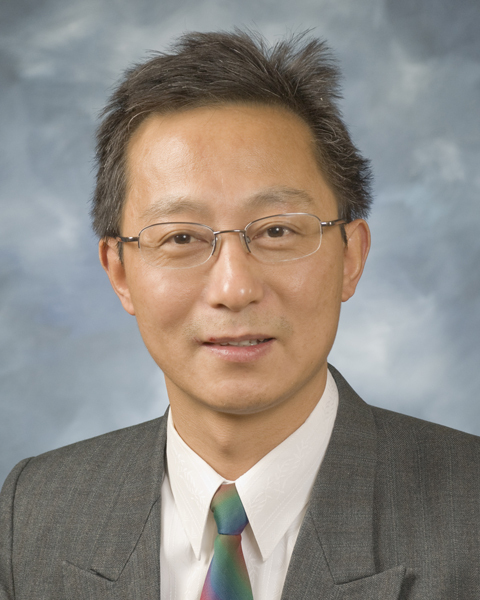 Frank Xing, MS 4, “Effects of Amiloride on Behavioral Plasticity to Cocaine,” mentor, Xiangping Chu, M.D., Ph.D., assistant professor of basic medical science. The application deadline for the next round of Sarah Morrison Student Research Awards is April 1, 2011. For application information, students should contact Agostino Molteni, M.D., Ph.D., director or student research at 235-5604 or moltenia@umkc.edu.